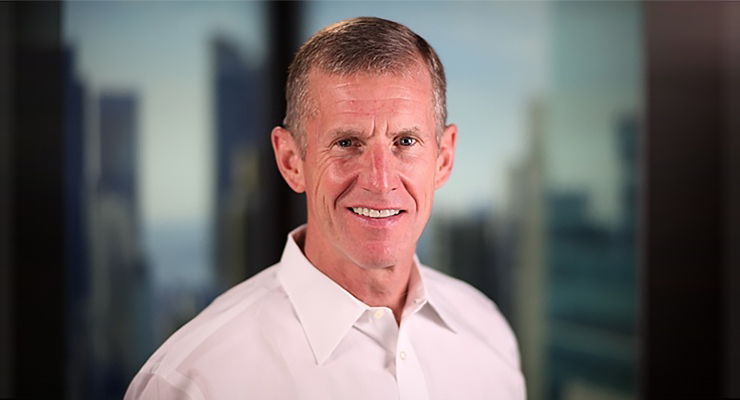 McChrystal is best known for developing and implementing a comprehensive counterinsurgency strategy in Afghanistan, and for creating a cohesive counter-terrorism organization that revolutionized the interagency operating culture. Throughout his military career, he commanded a number of elite organizations including the 75th Ranger Regiment. In June 2009, McChrystal was appointed to be the Commander of U.S. Forces in Afghanistan and NATO ISAF by President Barack Obama and the Secretary General of NATO. His command included more than 150,000 troops from 45 allied countries until his retirement in 2010. McChrystal’s memoir, “My Share of the Task,” was a 2013 New York Times bestseller, as was his book “Team of Teams: New Rules Engagement for a Complex World.” In his new book “Leaders: Myths and Reality,” McChrystal looks at a number of different leaders including Walt Disney, Robert E. Lee, Maximilien Robespierre, Margaret Thatcher, Albert Einstein, Leonard Bernstein, and Martin Luther King Jr., and examines their different leadership styles. Ultimately, McChrystal posits that different environments will require different leaders and that followers will choose the leader they need. Join the Council for lessons on leadership and more from General Stanley McChrystal on Monday, December 3, at the Hotel Crescent Court.